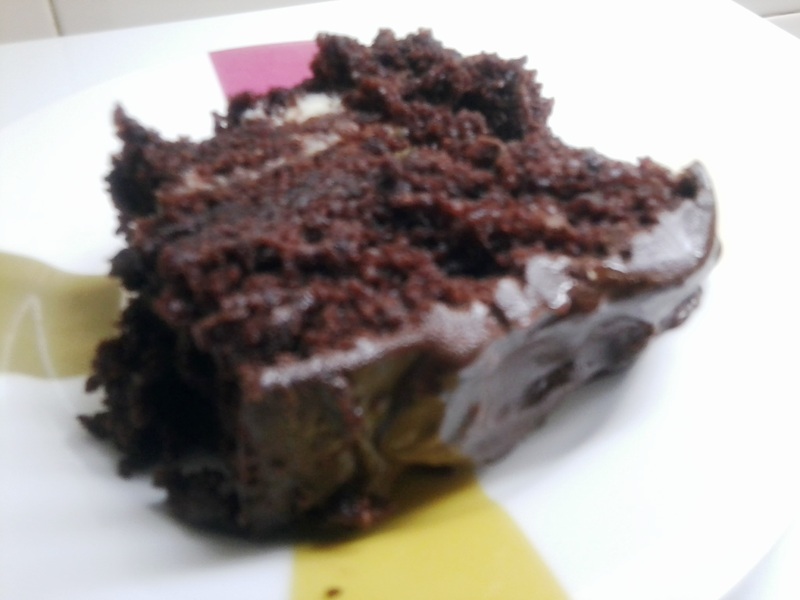 I am posting the recipe of this cake which tastes amazing but collpased coz i did not let it cool thoroughly. I am yet posting the recipe for those of you who want to try it out! This is the pic of the collapsed cake!! 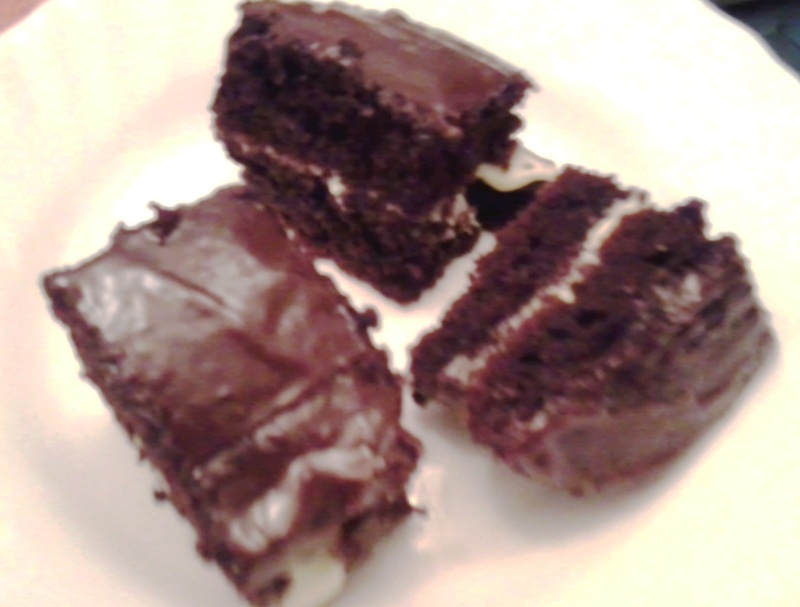 I managed to cut a decent piece for the pic…my kids just ate it alll!! 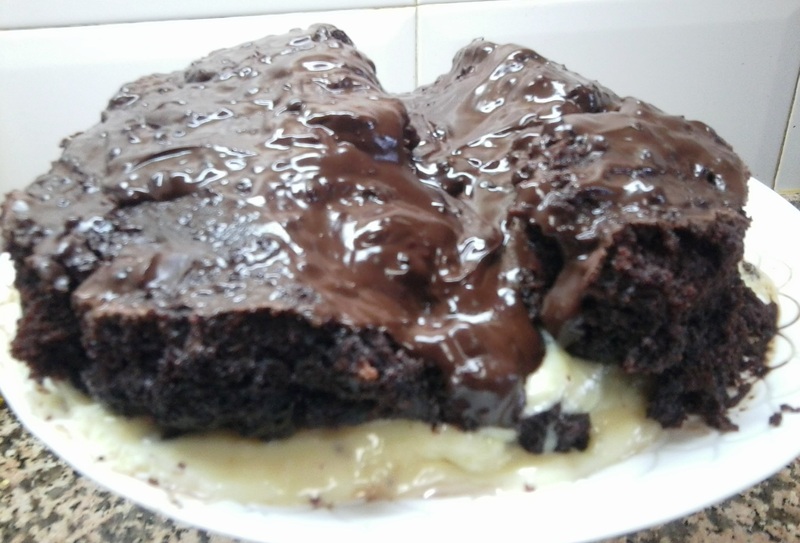 This is a pic of the same cake i had made earlier…i always tend to make this cake..Its a HOT favourite at home!! This recipe was taken from the internet and i adjust it a bit to suit myself. It is a verry delicate cake and each time i make it i pray it doesnt crumble or fall apart. The cake has to be cooled totally before its cut to do the filling and i never seem to have the patience…I think thats where i fail!! I will share a few pics of the way i have made it various times so you can have an idea. over a double boiler melt the white chocolate and then add the cream and mix well. Add the coconut and mix well again and cool. If it gets a bit hard and cant be spread add some liquid milk to it. over a double boiler melt the chocolate. add the cream and sugar and mix well. cut the cake in half and spread the white chocolate mixture on it. Cover with the other half of the cake and then spread the GANACHE well all over it. This entry was posted in A Piece of Cake?? ?, Cooking Disasters! !, Floury Matter and tagged bounty, cake, choc, chocolate, chocolate cake, coconut, ganache, white chocolate. Bookmark the permalink. Thank you for your fantastic recipes. I use them regularly; WONDERFUL! wat is the duration to cook the cake? can i use cola cao instead of nesquik? why do u say use less cocoa.if not 1/2 then how much?? ?